These delicious low carb cinnamon chips are great for a quick snack or delicious dessert! 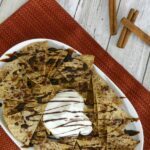 This recipe is an adaptation of my Homemade Tortilla Chips – which are perfect with salsa and other dips! Try this sweet version for a fun alternative! 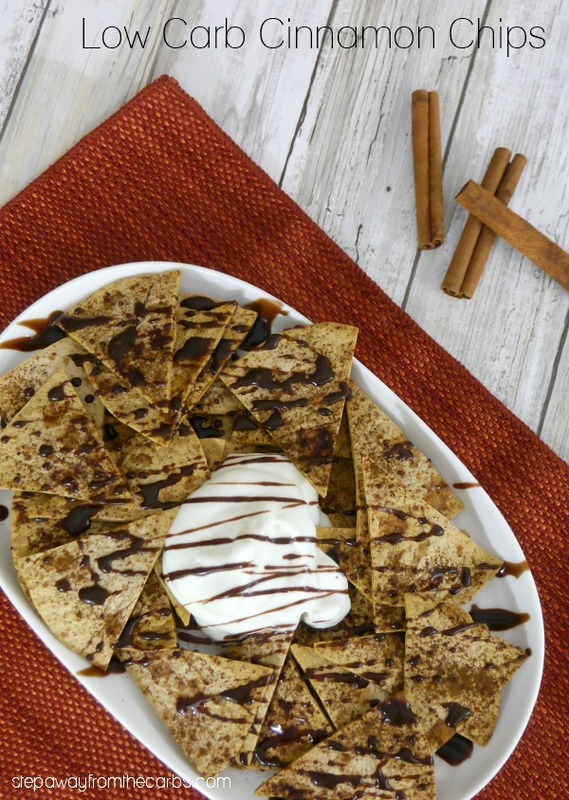 To make these chips you’ll need low carb tortillas – there are so many to choose from! Cut the tortillas into 8 wedges. 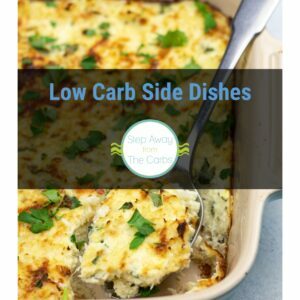 Place them in a single layer on a baking tray lined with a silicone mat. Sprinkle them with cinnamon. 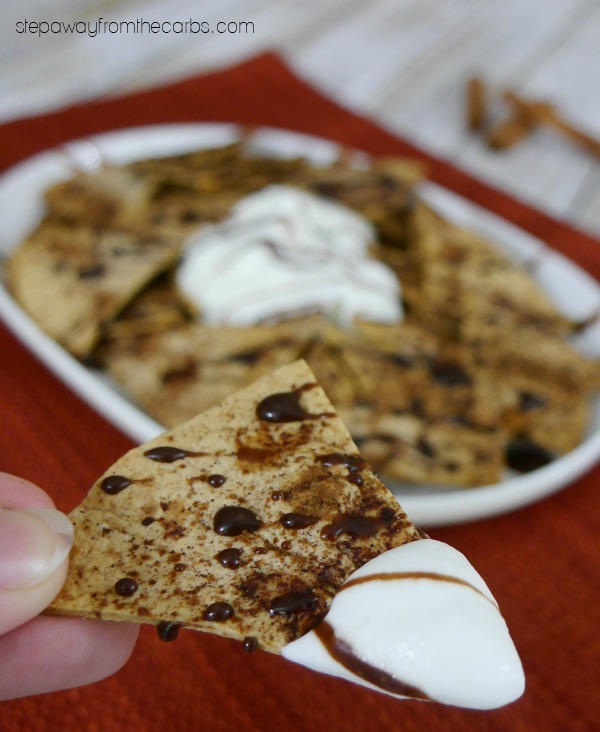 You could also add a little powdered (confectioner’s) Swerve if you prefer the chips a little sweeter – I’ve tried it both ways and I think it really depends on what you serve with the chips. Bake at 350F for ten minutes or until crunchy. They taste amazing straight out of the oven! Note: You can also cook the chips in the microwave – it takes about 2-3 minutes in my microwave to cook chips cut from one tortilla. But how about serving the chips with some whipped cream?!? I added some heavy cream and a little sweetener to a stand mixer, and whisked until stiff peaks formed. Then I arranged everything on a serving plate, and drizzled everything with some ChocZero chocolate syrup that I added a touch of water to so that it could be drizzled (it is a VERY thick syrup!!). The result was sensational! 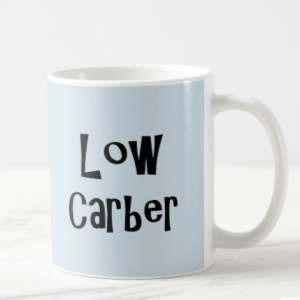 You could also make your own low carb chocolate sauce! 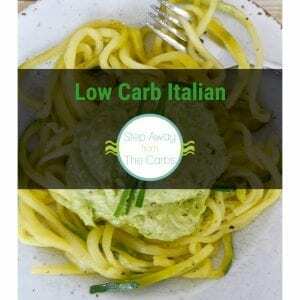 This feels like a very indulgent snack or dessert for very few carbs! 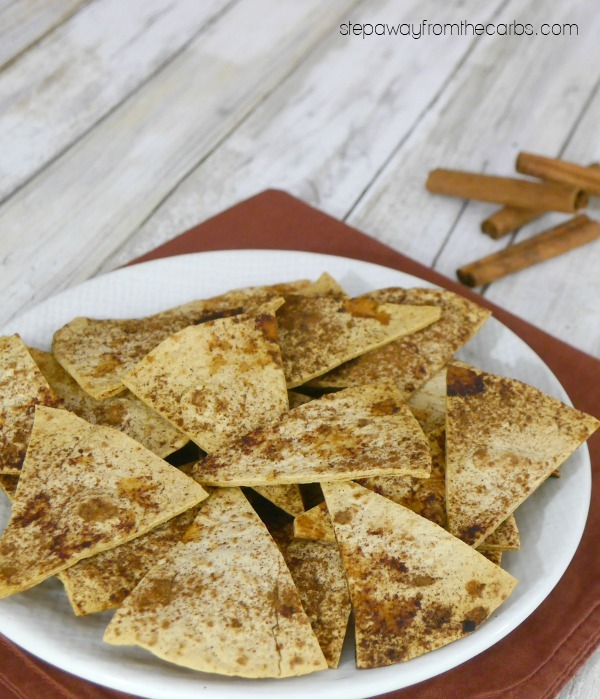 These delicious low carb cinnamon chips are great for a quick snack or tasty dessert! 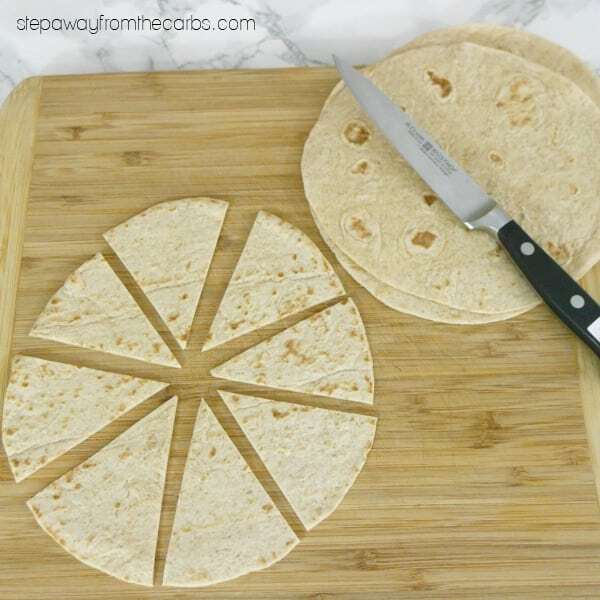 Cut the tortillas into 8 wedges and place them in a single layer on baking tray lined with a silicone mat. 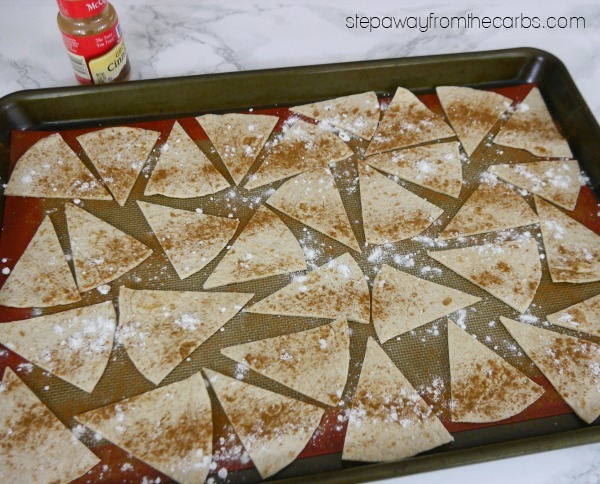 Sprinkle them with cinnamon and sweetener (if using). Bake for 8-10 minutes or until crispy. 3g net carbs per serving of 8 chips based on using small low carb tortillas with a net carb count of 3g each. Whipped cream and chocolate syrup are extra, but very low in carbs.